We believe that some of the best things in life are free – or almost. That is why we have searched for outdoor trips that raise your heartbeat, expand your horizons, and bind people together. This is our idea of teambuilding. Whether you wish to negotiate a high ropes course 90 feet above ground, cycle a hundred kilometers through 3 countries over a weekend, or raft the white water of Europe’s majestic rivers, Scherer Tours has “been there and done that”. Our bicycle tours include the romantic Mosel and Main river paths, the Bodensee circuit, the Main Donau Canal route, the Loire Castles tour, and many routes that run through the Dutch countryside. There simply is no better way to enjoy the landscape and landmarks of Europe than by bicycle. Our buses offer special trailers that safely carry up to 30 bicycles. 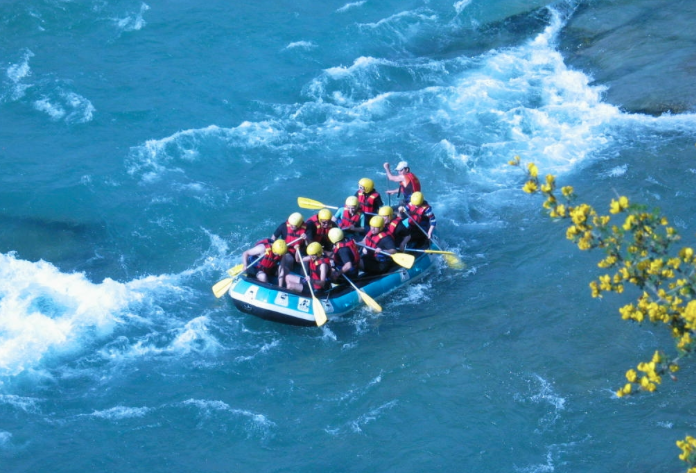 Our rafting tours head to the Alps-where the white water of Austrian and Swiss rivers promise good times and hard laughs. High ropes parks enable team building as well as confidence training.And, we also offer trips that combine all of the above in one whale of a weekend. Contact us to organize an Outdoor Adventure that you will cherish.